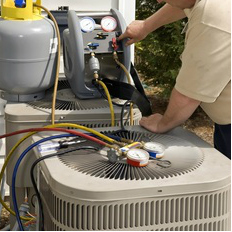 Consistent heat pump maintenance is crucial because heat pumps function on narrow performance margins. Even a small drop in system performance due to maintenance neglect can transform into effectiveness loss of around 25%. Heat pumps are what heats and cools your house by transmitting heat energy from outdoors to indoors and the other way around. Both components of the system inside and outside should function accurately to get the performance and effectiveness guaranteed by the manufacturer. 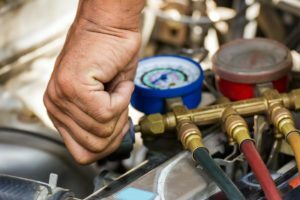 As a homeowner in Woodlands, TX, you can do a little work related to your heat pump, but the maintenance and troubleshooting typically necessitate a skilled and certified HVAC technician in the Woodlands. 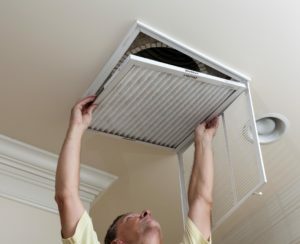 If you’ve had issues with your heating and cooling system and arranged a service call, you may have detected that one of the very first things the Woodlands, TX heating and air technician did was examine the air filter. The list of malfunctions, big and little, that can begin from a dirty or clogged filter is startlingly long. This is especially accurate with heat pumps. Even though heat pump equipment is straightforward and dependable, a heat pump needs a reliably higher volume of airflow to really heat or cool your house. Losses in the air volume carried through the ducts due to a dirty filter have a huge impact on the comfort and system efficiency in your home. A heat pump air filter safeguards your breathing air, as well as the heat pump parts. Inorganic dust and airborne microorganisms, such as mold and pollen travel in your household air. These causes of allergies and respiratory discomfort can be somewhat regulated by a clean filter. In addition, the filter sustains the heat pump’s indoor coil clean, a crucial element in the system’s operation and effectiveness. When in doubt, call us out!!! Examine the indoor coil and clean if necessary. Examine wiring for indications of overheating. Try out the operation of controls that change the heat pump from cooling to heating. Authenticate the amount of refrigerant in the system. Make sure hedges and shrubs are clipped around the outdoor unit. Get rid of debris near outside unit. Oil the coil fan and inspect the state and tension of the fan belt. Gage refrigerant pressure and temperature variances on both sides of the compressor. Examine the function of the indoor thermostat.